1991: Abandoned by her husband, Axel Green, Janet Green turned to her sister Natalie Hunter for a place to stay. In Pine Valley, she met Natalie’s fiancée, Trevor Dillon. Janet was immediately smitten with Trevor. She was sure that she and Trevor were meant to be. All she needed to do was to get rid of Natalie. So, Janet lured Natalie to the woods, and pushed her into a well. Then, she changed her appearance to look like Natalie. Perfectly copying her demeanor, Janet took over her sister’s life. None the wiser, Trevor made plans to marry Janet. But Janet’s charade was coming to an end. Trevor’s niece Hayley Vaughan had discovered Janet talking about her plan to her reflection in a mirror. She captured Hayley and kept her prisoner in the Chandler Mansion tunnels. She even shot Hayley’s boyfriend, Brian Bodine, when he tried to rescue her. Unbeknownst to Janet, Dimitiri Marick had found and rescued Natalie. Natalie uncovered Janet’s manipulations. In prison, Janet revealed she was now pregnant with Trevor’s child. 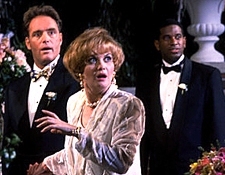 1992: Janet had succeeded in breaking up Natalie and Trevor. Still, Trevor’s attention never seemed to be on her. Janet was in the hospital getting a prenatal check up when she overheard Trevor in the hallway. He was worried about Hayley because of her recent marriage to Will Cortlandt. Dangerous and volatile Will had consumed Trevor’s attention. Janet hoped that by getting Will out of the picture, Trevor’s attention would shift to her and their baby. Dressed in his over coat, Janet confronted Will in his apartment and bludgeoned him to death with a crowbar. At first, Brian took the fall for Janet’s crime. But, reporter Edmund Grey put the pieces of evidence together and implicated Janet for the crime. Janet made one last run for it, this time taking Natalie hostage again. When Natalie tried to run away, Janet shot her. At that moment, Janet collapsed: she was in labor. Natalie helped Janet deliver her daughter, Amanda Dillon. Janet was forced to sign away her custody rights to Trevor. He promised Janet that as long as he was alive, she would never be a part of Amanda’s life. 1994: Janet’s new cellmate, Kendall Hart, filled her in on the going-ons in Pine Valley. She was devastated to learn that Natalie had died in car accident pursuing Laurel Banning. Janet had changed a lot since her imprisonment. She told Kendall that all she did was to be with Amanda again. Janet was given such an opportunity when she volunteered for an experimental surgery that could potentially leave her permanently disfigured. For her participation, the Governor commuted her sentence. With a new face, she adopted the alias of accountant Jane Cox and began working for Orsini Vineyards. No matter how hard Janet tried, she could not avoid being drawn to Trevor and Amanda. She began dating Trevor. But Laurel, and Janet’s mother, Wilma Marlowe, had her own suspicions about Jane. Timmy Dillon’s dog, Harold, was equally suspicious. So, Janet drugged Harold and sent him away in a truck. Then, she cut Laurel’s breaks in hopes of silencing her. All the while, she made plans to marry Trevor again. On the day of her wedding to Trevor, Harold stormed into the chapel and began attacking Janet. It bought Jackson Montgomery enough time to arrive and reveal Janet’s true identity. Laurel had discovered records of Janet’s surgery. Trevor was enraged by her deception. He promised Janet that she would have nothing to do with Amanda. Janet found her next opportunity in Palmer Cortlandt. After a one-night stand, Janet began to blackmail Palmer. Palmer wanted to save his marriage to Opal Cortlandt, so he agreed to be a part of her manipulations. 1995: Janet was determined to win custody of Amanda. She believed her chances were compromised as a result of Trevor and Dixie Martin’s smear campaign. She hired an actor named James to impersonate Dixie's late brother, Janet’s first victim Will . 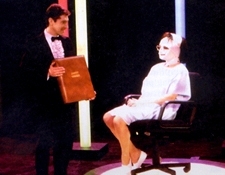 At trial, James arrived and revealed Janet’s deceptions. Trevor won full custody of Amanda. Janet was determined to make everyone pay for her loosing her child. On the day of Trevor and Laurel’s wedding, she stormed the chapel with a bomb. Only, Amanda had already arrived and was standing with Laurel. Not wanting to hurt her daughter, Janet ran into the street with the bomb. Before she could disarm it, she was struck down by lightning. All of Pine Valley thought she was dead. In reality, she had survived the blast. Runaway Laura Kirk found her and tried to nurse her back to health. Pierce Riley found the women living at a campsite. He welcomed them to live at his cabin near Willow Lake. The three of them formed an instant family. Pierce and Janet bonded over their dark pasts. They became lovers. One day, while she was alone at the cabin, Janet heard cries of help coming from the lake. She recognized the drowning boy to be Jamie Martin, Dixie’s step-son. She saved Jamie, but ran away before anyone saw her. Janet was forced to return to Pine Valley when Laura fell ill with appendicitis. Though she tried to slip out of the hospital unnoticed, Trevor saw her. He took her to an empty storage locker. There, Trevor berated Janet with the laundry list of things she had done to hurt his family. He pulled out his gun to kill her. Luckily, Pierce arrived to stop Trevor. Pierce revealed that he and Trevor had worked as mercenaries together. Pierce successfully talked Trevor down. Returning to Willow Lake, Janet realized how much things had changed. Pierce had grown distant since meeting Brooke English. With Laura gone, she felt like she had lost her family. 1996: Janet began her plot of revenge against Brooke for stealing her newfound family. She began to practice her own imitation of Brooke, going so far as to sneak into Jamie’s room to read him a bedtime story. When Trevor found out, he got in a car accident trying to warn Brooke. Janet started working for Dr. Jonathan Kinder. She began snooping around the office only to discover Kinder’s questionable use of drug therapy. When Kinder realized Janet had found out too much, he locked her in the church attic. In the same attic was a comatose woman. She did not know the woman was Pine Valley heiress Skye Chandler, Kinder’s wife. Janet helped Skye escape. 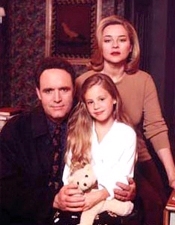 Janet and Skye formed an unlikely alliance with Erica Kane, one of Kinder’s former patients. They were plotting on how they were going to entrap Kinder. Only, when Kinder found out they had escaped, he was on a warpath. In the commotion, Erica’s daughter, Bianca Montgomery, pushed Kinder down a staircase seemingly to his death. The women buried Kinder in the backyard of the Linden House and promised to keep the ordeal a secret for Bianca’s sake. Kinder was not yet done terrorizing the women. Erica had found the shallow grave empty. Kinder’s former lover Marian Colby admitted that she had helped him escape to the Caribbean. With Marian's help, they finally forced Kinder into a confession, sending him to prison for his dastardly deeds. Upon returning to Pine Valley, Janet found Trevor in a terrible state of mind. The crash had left him paralyzed. 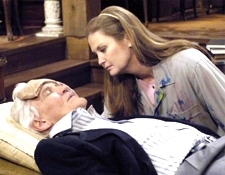 Seeing him in such a hopeless condition, Janet worried about Amanda’s welfare. When Janet threatened to take her away, Trevor found the strength to lift himself out of his chair. 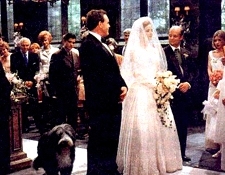 1997: Janet and Trevor began seeing each other. Their relationships lead to a lot of tension in the Dillon home. Tim was still not convinced that Janet had reformed. Tim told Amanda about Janet’s sordid past. Amanda wanted to seek out the truth. Amanda fell into the Wildwind well that Janet had held Natalie in years before. Janet slipped in trying to rescue her. 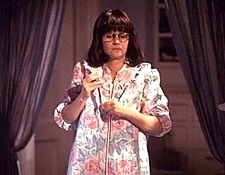 Trapped, Janet revealed that she was Amanda’s mother. The trauma brought mother and daughter together. Tim crushed a pumpkin on his doorstep with crowbar. The final draw came when Tim accused Janet of locking him in a meat locker. Janet agreed to take a lie detector to exonerate herself in Trevor’s eyes. When the results were inconclusive, Trevor still vacillated. Janet did not want to be in a relationship if Trevor could not trust her. Tim ran away from home. That night, Janet prayed to Natalie. If she promised to protect him and bring him home, she would break off her relationship with Trevor so that Tim would never run away again. Tim returned home on Christmas Eve and Janet began to face the difficulties of her promise. 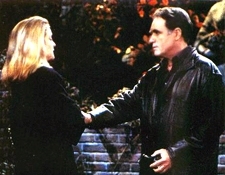 1998: Trevor pursued Janet. He asked her to marry him. But, Janet had made a promise to Natalie the night Tim disappeared to leave Trevor alone. She knew he would not take “no” as an answer. So, Janet told him she was going back to Axel. Janet hired an actor to pretend to be Axel. On their wedding day, Trevor arrived at the chapel and called Janet out on her lie. He professed his love for her. Janet could deny her love any longer; she married Trevor that day. Janet and the Dillons were dealt another blow when Harold was diagnosed with cancer. They spent as much time with him as they could before they were forced to put him down. 1999: Janet’s former cellmate Sophie Malinowski tracked her down for a favor. Sophie was down and out, and looked to Janet to start up her life. Janet wanted Sophie out of her hair, and gave her some money to get started. Sophie exploited the situation, and asked for more money. Janet was not about to be blackmailed. Sophie turned to her old ways and threatened to hurt Amanda if Janet did not acquiesce. Janet gave her $50,000, and hoped that she would leave town. Sophie was relentless. When Janet stood her ground, Sophie pulled out a crowbar. In a struggle, Janet overtook Sophie and bludgeoned her to death. Janet finally told Trevor what Sophie had done. Knowing Janet would never get a fair trial based on her history, Trevor took the fall for Sophie’s murder. Before he was arrested, Trevor skipped town. 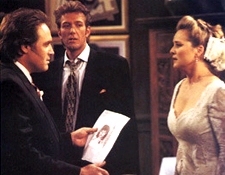 Derek Frye interrogated Janet about Trevor’s whereabouts. The mental strain from the situation left Janet on edge. Janet began seeing visions of her old self in the mirror. 2000: Janet’s condition worsened. Arlene Vaughan, Trevor’s sister, came to Pine Valley to help Janet. Instead, she only brought on more drama with her alcoholism and greed. Janet did her best to handle Arlene and protect a very fragile and impressionable Amanda. After a confrontation with a mirror, Janet turned herself in to Derek. But, Trevor had found evidence to corroborate Janet’s claim of self-defense. Trevor had set up shop in Colorado. Janet and Amanda moved to be with him there. Janet’s release was contingent on her seeking continued professional support. 2005: Janet returned to Pine Valley after learning that Amanda had been run down by Babe Carey. Janet did not want the person who hurt her daughter left unpunished. Janet acted erratically. She had stopped taking her medication, causing her mind to fall deeper into psychosis. Janet told Amanda she was going home. In reality, she was hiding in Pine Valley to start plotting her revenge against Babe. Her first act of vengeance was kidnapping Adam Chandler, III, Babe’s son. She only returned him after Amanda was implicated in the crime. 2006: Janet secretly lurked about Pine Valley in her plot to claim vengeance on all those who hurt Amanda. She made her presence known at the Mardi Gras Ball when Amanda was implicated in Erica’s drugging. She went to convince her old friend that he daughter could not possibly have hurt her. When Erica brushed Janet off, she became infuriated. Amanda tried to make Janet leave town and get help. Betrayed, Janet took her aggression off on everyone at the ball by rigging the ballroom to explode. Janet seized the opportunity to kidnap Babe and Little Adam again. Janet was going to raise Little Adam as her son, Rembrandt, to take the place of Amanda who she thought no longer loved her. She needed to eliminate Babe, so she threw her in a freezer. Beside her was Trevor. Janet had put Trevor in the freezer to “cool-off" after an argument. Janet’s mental conditioned continued to deteriorate, and she began to talk into the mirror again. Amanda tracked Janet down. She begged her to let Little Adam go. Amanda calmed Janet down with memories of her childhood, giving the authorities enough time to save Little Adam and Babe. Janet went to trial for Trevor and Ethan Ramsey’s murder. Ethan had died in the Mardi Gras explosion. Janet was sent to a sanitarium where she was force-medicated. Before she was taken into custody, she told JR that his mother, Dixie, was alive. Janet had spotted Dixie at the Mardi Gras Ball. 2007: Amanda turned to Janet for help in discovering the identity of the Satin Slayer. Amanda wanted to know more about the mind of a killer, like her mother, in hopes that she could help the police stop the murders. Janet was fairly lucid and tried to help with the investigation as much as she could. Adam broke Janet out of the mental ward. He needed her help in his plan for revenge against Tad and Krystal Carey. She was to kidnap their child, Jenny Martin. Adam convinced Janet that Tad and Krystal were bad parents and did not deserve the little girl. Because Janet was off her medication, she went on the run with Jenny. When Tad and Krystal finally tracked Janet down, they were able to convince her to give them Jenny back. Janet went back to the mental ward. In spite of what she had done, Amanda still visited Janet for the holidays. Janet confronted Richie Novak, Pine Valley’s most recent sociopath.Janet was somehow charmed by Richie. Janet helped him escape the mental ward. Janet continues to reside in Oak Haven.